Discussion in 'Announcements' started by Furai, Jan 23, 2019. This build contains a few big ticket bounty items as well as a large number of small tweaks, fixes and improvements. 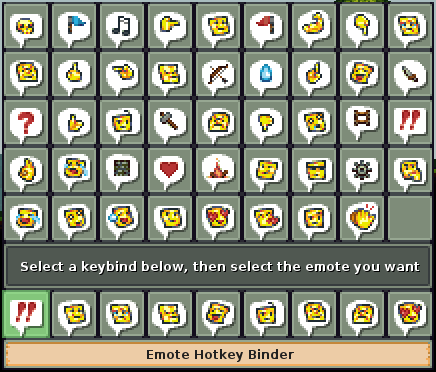 A long standing request has been the ability to rebind the emoticons on the 1-9 keys. While this has been possible with some fiddly config file editing in the past, now it has a fully fledged in-game menu for rebinding, which is instantly reflected in-game. You can access the emote bindings through the new "bindings" sub-menu in the "esc" main menu in-game. While the appearance is still something we're interested in improving, the taunt menu is now fully functional. You now can quick-chat in-game using B (by default, button is bindable as always) - a radial menu will pop up with various categories of quick-chat - for both communicating with your team and taunting your enemies. The text will even go to the correct chat channel, so that enemies don't learn your plans, but they do hear your taunts! Siege engines (both catapult and ballista) can now fire safely through (very close) platforms. This allows some extra protection against arrows on towers, but also allows them to be put safely into platform-enclosed bunkers! Chain reactions - kegs now set other kegs off, allowing for devastating explosions! Fire and enemy fire arrows can light kegs, so burning enemy keg caches is an option! The Italian community, particularly Guardian-of-Irael, have contributed an Italian translation for the game. You can try this out by setting the language in misc options, same as any other language. We welcome feedback from the wider community on the quality of this translation, but thanks so much for your work on it so far! There are a lot of "miscellaneous" changes this build as well including fire arrow larger initial "catch" area, dinghy + sponge + fireplace + shop improvements, glitch exploits patched, map tweaks, cursor misalignment and more. See the full changelog for details! Thanks to all the contributors who helped out with developing and testing these updates, and all the folks involved with #democracy pitching and voting for these changes. Special shout outs to Epsilon, Asu, Vik, Shylie, GoldenGuy, Monkey_Feats, Bunnie, Cruxiat, Coroz, and Franek. All 4 of the big ticket items this build were developed through the community development bounty system, where we pay community devs to implement community-pitched and voted ideas. KAG is certainly becoming a community driven game, and it's wonderful to see. If you'd like to get involved with that, be sure to join the official discord and check out kag on github! We'd love for you to get involved. - todo: make them come back when it's xmas each year! Lit kegs now are even more prioritized, and unarmed enemy mines are now a priority as well. Dinghies no longer decay when left alone. Players cannot pick up enemy dinghies without capturing them. Added dinghy dump inventory button. blackjoker77777, Noburu, Tern and 13 others like this. Tons of nice new features, (TL;DR) notably emote binding, better catapult, quick-chat taunts, better fire, keg improvements, better dinghy "storages," damaged wood to stone, and drying out sponges - all of those are really useful! 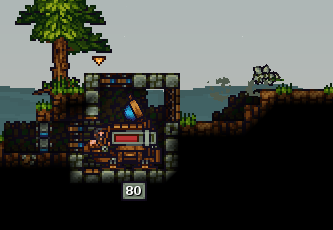 Can't wait to make catapult bunkers..! Hotfix 2838 is out to solve outstanding issues with the changes, enjoy! Noburu, Biurza and epsilon like this. Fuzzle and Blubahub like this. Guardian_of_Irael, Blubahub and Biurza like this.